We are in the midst of Advent and many have already set up their Christmas trees (Weihnachtsbäume). And if all goes well, a great many of you will hit the kitchen this weekend to bake our favorite Christmas cookies. 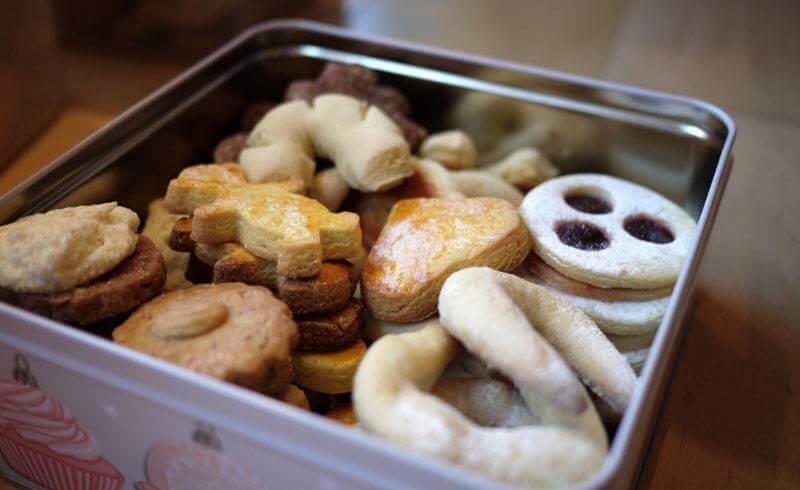 Here is a selection of Switzerland’s favorite cookies (Guetzli, Guetsli, or Chrömli) recipes. The one thing that you will realize in all of the recipes is that these cookies need air time. That is, time for the dough to rest before baking. Not only a skateboard fashion company, but the best Christmas cookie there is. Interestingly, this is also a very common cookie in German Jewish culture and is called Erste Sternen and served at the meal following Yom Kippur. 1. Stir white of egg and salt in a bowl until it is really stiff. 2. Add confectioner's sugar, stir until ingredients are evenly distributed. Put 1 dl (0.4 cups) aside for the frosting. 3. Add cinnamon, kirsch (or lemon juice) and almonds, knead to a soft dough. 4. Roll out dough on a flat surface (it may be slightly covered with sugar), approximately 7 mm (0.3 inches) thick. Put out stars or other shapes and put them on a baking sheet covered with baking paper. 5. Let them rest for about 5 to 6 hours or over night in a dry place. 6. Carefully sweep the cookies with the frosting set aside in step 2. 7. Bake for about 3 to 5 minutes in the center of the pre-heated oven at 250 °C (480 °F). 8. Let cool completely before serving. 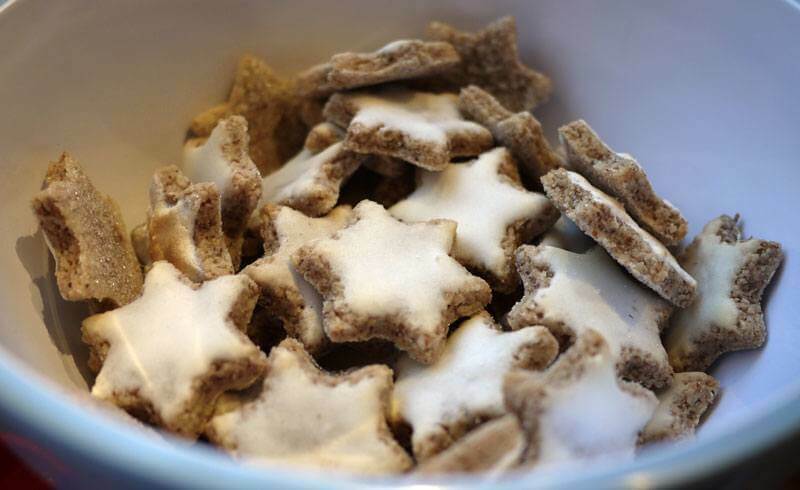 Right behind Zimtsterne are Brunsli for my favourite Christmas cookies. One thing you’ll notice with all of these recipes is that in Switzerland, we let our cookies rest over night before we bake them. This just makes them better. One thing to watch out for is people eating them before they’re baked. My dad is infamous for making these unbaked cookies disappear! 1. Mix sugar, salt, almonds, cinnamon, powdered clove, cocoa powder and flour in a bowl. 2. Add white of egg and stir until ingredients are evenly distributed. 3. Cut chocolate in real small pieces, pour hot water over the chocolate, let rest for about 5 minutes, then pour off all water except about half a tablespoon, stir until even. Now immediately proceed with the next step. 4. Add melted chocolate from the previous step and the kirsch, knead to a soft dough. 5. Roll out dough on a flat surface (it may be slightly covered with sugar), approximately 10 mm (0.4 inches) thick. Put out different shapes and put them on a baking sheet covered with baking paper. 6. Let them rest for about 5 to 6 hours or over night in a dry place. 7. Bake for about 4 to 6 minutes in the center of the pre-heated oven at 250 °C (480 °F). For those of you not so much into nuts, but who love Absinthe, Sambuca and Ouzo. These are special cookies in terms of their shape, but they go especially well with coffee! If they lift slightly on the bottom when you bake them, it is said that they are growing feet. This is really good, don't worry! 1. Put eggs, confectioner's sugar, salt, anise and kirsch in a bowl and stir about 5 minutes until well mixed. 2. Add flour and mix into a dough. 3. Form rolls of about 1.5 cm (0.6 inches) diameter and cut in pieces of about 5 cm (2 inches) length. Cut in each piece about 3 times slightly angular and bend them slightly. 4. Slightly grease baking sheets and put the rolls onto it to dry. Do not use baking paper sheets. Do not move the pieces. Let them dry for 24 to 48 hours at room temperature. Make sure there is no draft. 5. Bake them for about 25 minutes in the lower part of the pre-heated stove at 140°C (285°F). Keep the door of the stove a bit open. Let the cookies cool down and remove them from the baking sheet using a spatula. So there you have it – three types of very Swiss Christmas cookies to get working on. If you prepare the dough on Friday evening after work, you’ll be able to bake them by Saturday afternoon and enjoy them on Sunday! Yes, good things come to those who wait, as even these cookie recipes prove. 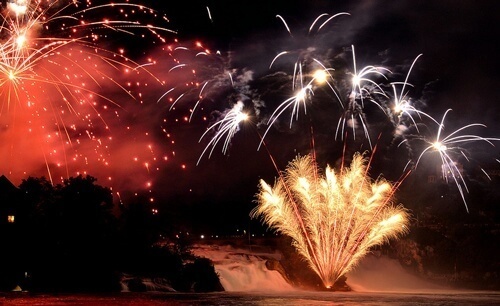 The Swiss Turnip Festival is all about - well - turnips!